Italy is a member of the European Union and also a member state of the Schengen Area. So, if you are a citizen of the Schengen Area of the EU then there is no need for you to get a VISA. However, if you fall out of this category then you’ll have to apply for a Schengen Visa for Italy. Also, as a part of the Italian Visa Waiver program citizens of some countries are allowed to visit Italy for short visits i.e. 90 days.Now, let us check the process to apply for the Visa. Italy is a member of the European Union and also a member state of the Schengen Area. So, if you are a citizen of the Schengen Area of the EU then there is no need for you to get a VISA. However, if you fall out of this category then you’ll have to apply for a Schengen Visa for Italy. Also, as a part of the Italian Visa Waiver program citizens of some countries are allowed to visit Italy for short visits i.e. 90 days. As per a study conducted in 2018, Italy until now has issued a total of 1,703,693 uniform Schengen visas from 1,850,260 visa applications received at Italian embassies and consulates around the world. The Visa rejection rate was 7.66%. Now, let us check the process to apply for the Visa. Depending on the purpose of your travel to Italy, there are different types of visas that will apply to the occasion. 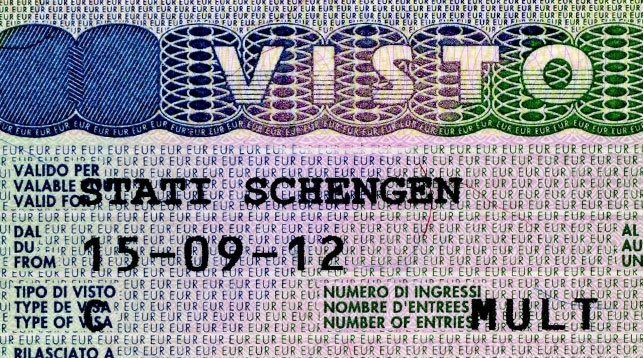 Whether you are planning to go on a visit, study or work and reside there permanently, you will have to apply for a different Italy Schengen Visa, accordingly. The short term Visa is called the type C Visa and the long term is called the type D Visa. Once, you have decided what Visa you are going to apply for, and then the next step is filling out the application form. You can also apply through an outsourcing company such as VFS; you can download the form, pay a fee of approx. 5000 Rupees, and book an appointment at centers in New Delhi, Bangalore, and Kolkata. Also note that the fee for the age group of 6-12 is approx. 3000Rs. Fill the Visa Application carefully- Fill out the form online carefully with all the genuine details. Once the application is complete, you will receive a confirmation code; keep it safe for future reference in the interview. Prepare your documents- A valid passport (The period of validity of a passport must be at least 3 months longer than that of the visa.) with a minimum 2 blank Visa pages. 3. Make the payment- Once the form is complete; you need to pay the fee for the Visa. It is necessary to pay the required amount in order to book an interview and carry the process forward. A sum of 60 Euros i.e. 4880Rs is the fee for the US Visa payable by only electronic means. 4. Take appointment for Visa interview- After you have all the things ready, it is mandatory that you book an appointment before you can go to the Application center to submit your documents for the Shengen VISA. All visa applications are accepted only if you have made prior appointment. 5.Visit the Visa Application Centre- On the day of the interview carry your original Valid passport ,duly filled and signed application form ,two color photographs and all other supporting documents as mentioned in respective visa application checklist. You will have to undergo with a brief security check before a token is issued. 6. Track your Visa application- It can be done through SMS, Email, Online tracking. 7. Collect the Visa- Within a few weeks your Visa will be ready and you will have to go to the embassy to collect it. Note: it is not possible for third parties to collect the documents on behalf of an applicant.